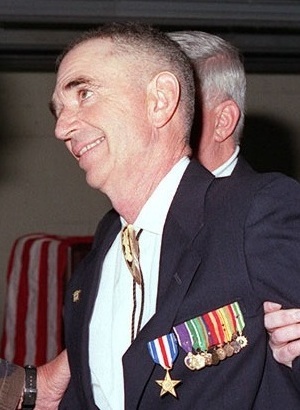 Carlos Hathcock was a genuine Vietnam War hero and an undisputed legend in the U.S. Marine Corps for his exploits in southeast Asia. With a record of 93 confirmed kills but an estimated body count of between 300 – 400 enemy soldiers, Hathcock terrorized the North Vietnamese Army (NVA) and the Viet Cong. Because of these exploits, he was honored by having a rifle named after him – the Springfield Armory M25 White Feather, so called for the nickname that NVA men gave him because he always wore a white feather in his cap. 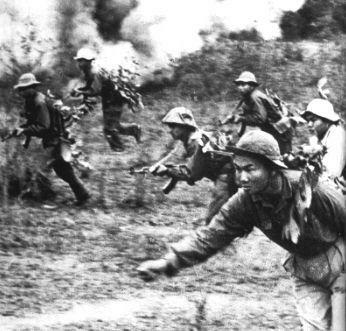 Vietnamese troops in Vietnam War, 1967. Just like World War One hero Alvin York, the Vietnam War soldier taught himself how to shoot as a child growing up in Little Rock, Arkansas. After Hathcock’s parents divorced he lived with his grandmother and began to hunt early, partly out of necessity to feed his family. The soldier was introduced to a military mentality from an early age as he used his father’s Mauser that he had brought back with him after the first world war. Hathcock dreamt of enlisting in the armed forces his whole life and when he was just 17 he enlisted in the Marines. By the age of 23, he would win the prestigious Wimbledon Cup shooting championship at Camp Perry in 1965. The sniper initially started his deployment in Vietnam as a military policeman before carrying out feats of stamina, skill, and endurance that wouldn’t sound out of place in a historical fiction novel. It was Captain Edward James Land that pushed for Marines to be placed into every platoon and Land recruited those who had set records in sharpshooting. Hathcock had done that when he won the Wimbledon Cup. He was recruited andthe wheels of history set into motion. During the Vietnam War, kills had to be confirmed by a third person who had to be an officer. As a result, the sniper’s spotter wasn’t allowed to be this acting third party – and as a sniper often carried out work away from a third party this ‘confirmed’ number was often lower than in reality. Hathcock was a master of using the innate weakness of man against them. It was for this reason that he used to strike at the beginning and the end of the day. One of his most famous moments came when he was sent to take out a General in the NVA. It was astonishing work by Hathcock as he went four days and three nights without food or sleep in the pursuit of his man. The sniper often volunteered for missions that he didn’t know anything about because of a natural belief, probably backed up by the stats, that he was better than the rest of his comrades. 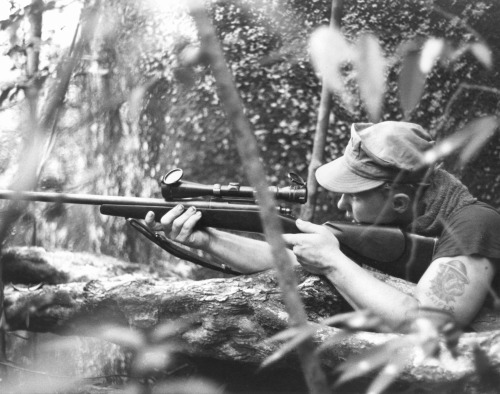 Hathcock crawled inch by patient inch to get to a good position in order to hit the target – even ‘worming’ on his side in order to keep his trail thin and avoid being spotted by communist forces. The sniper got 700 yards away and calmly slotted a bullet through the general’s heart. Hathcock was so good that it took him three days to get back to safety but he managed to do so without being detected once. Among his other famous kills was when the sniper took out an NVA platoon leader known only as Apache. She enjoyed torturing captured American soldiers and was hated by the Marine forces that operated in the area. One day Apache captured a private and sadistically tortured him within earshot of Hathcock’s own unit. She skinned the man. She cut off his eyelids, before taking his fingernails off and castrating him. Then she let him go. As a result, Hathcock took his spotter and they trailed Apache and her platoon. Went she stepped off the trail to relieve herself, the sniper took his chance. He even put a second bullet in the hated torturess just for good measure. Because of his skill and mounting body count, the NVA had put a $30,000 bounty on the head of Hathcock. The normal range for a bounty would be anything up to $2,000 – but Hathcock was special. The NVA sent their best man, known as Cobra, after Hathcock and he began to pick off soft targets from the American’s unit in an attempt to draw him into the open. The American and Cobra circled each other – the NVA man even got a shot off which hit Hathcock’s partner’s canteen. Cobra ended up facing the sun, which would prove to be his downfall. A ray of sun caught the lens of the Vietnamese man’s scope. There was a glint. Hathcock saw it and shot it. The bullet went straight through the scope without touching the sides and hit Cobra flush in the eye. The only way this could have been possible is if Cobra was zeroing in on Hathcock and he fired first. One man had the quicker trigger finger, the other was dead. Hathcock’s time in Nam was brought to a swift end when his vehicle hit an anti-tank mine and was blown up. In saving the lives of seven Marines who were inside the burning vehicle, Hathcock suffered burns to 40% of his body. This ended his career behind a sniper, but the soldier trained the next generation after setting up the Marine Sniper School at Quantico. After being forced into retirement after his health worsened due to multiple sclerosis, Hathcock continued to provide training to police units and the military. He sadly passed away in February 1999 in Virginia Beach after succumbing to multiple sclerosis. In the end, nature accomplished what the best snipers in the whole of Vietnam never could.